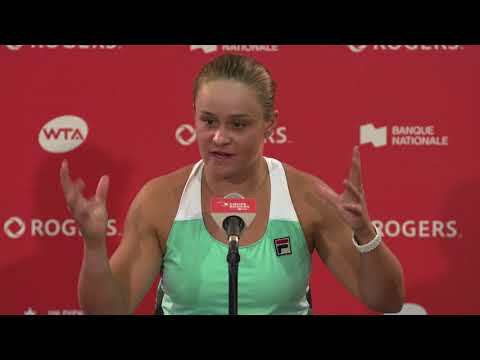 While tennis’ biggest stars have already confirmed their participation for Rogers Cup presented by National Bank, the qualifying rounds also promise to deliver high quality tennis during Aviva Family Weekend in Montreal and Pizzaville Free Community Weekend in Toronto. 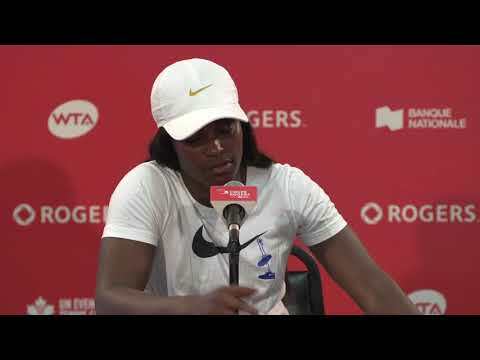 Tennis Canada announced Wednesday that 30 players ranked inside the Top 75 will compete in qualifying on July 23 and 24 at STADE IGA and Aviva Centre. The opening weekend is free for all in both cities and therefore a great opportunity to get closer to the best players in the world. Included on the list is Wimbledon semifinalist Elena Vesnina. The Russian is guaranteed to be ranked inside the Top 25 on Monday following her impressive run at the All-England Club and should be the top seed for qualifying in Montreal. Germany’s Sabine Lisicki and Alizé Cornet of France will also be among the top seeds. Both players reached the third round at Rogers Cup in 2015 and Lisicki also advanced to the third round the year before in Montreal. The United States will be represented by 14 players, including Christina McHale, who took a set off Serena Williams at Wimbledon, and Shelby Rogers, who made a surprise run to the quarter-finals at Roland-Garros last month. In total, 20 players ranked inside the Top 75 will battle for the twelve remaining places in the main draw in Montreal. On the men’s side, rising star Borna Coric of Croatia just missed the cut-off for the main draw. The 19-year-old is ranked No. 50 in the world and has already reached two ATP finals in 2016 in Chennai and Marrakech. Coric has also posted victories over Rafael Nadal (Basel 2014) and Andy Murray (Dubai 2015). Nicolas Mahut of France is also among the top seeds. The world No. 51 reached a career-high of No. 37 last year. He won his fourth career title a few weeks ago at the grass court event in the Netherlands. Mahut also reached the semifinals in Rotterdam. Donald Young will also play in qualies. The American reached the fourth round at the U.S. Open last year, equaling his performance from 2011 at Flushing Meadows. Ten players ranked inside the Top 75 will compete for one of the seven main draw places in Toronto. The qualifying draws will be filled out by wildcard recipients which will be announced at a later date. Many off court activities will also add to the show offered by the players. Both sites will offer a wide selection of restaurants, boutiques, games, and promotions that will create a festive atmosphere and offer a memorable experience for spectators. Rogers Cup presented by National Bank will welcome the best WTA players to STADE IGA in Montreal from July 22-31 and host the top ATP players at Aviva Centre in Toronto from July 23-31. For more information and to purchase tickets visit: www.RogersCup.com.